“Now, Max, you aren't like any other guest we've had on the show before. Can you tell our readers why? 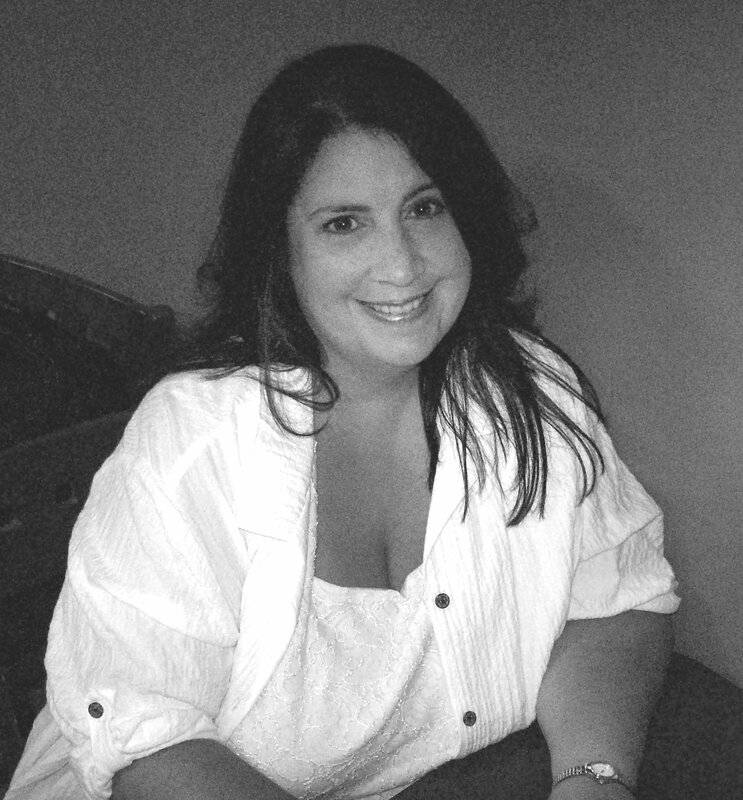 For Lisa Burton Radio, I'm Lisa Burton. 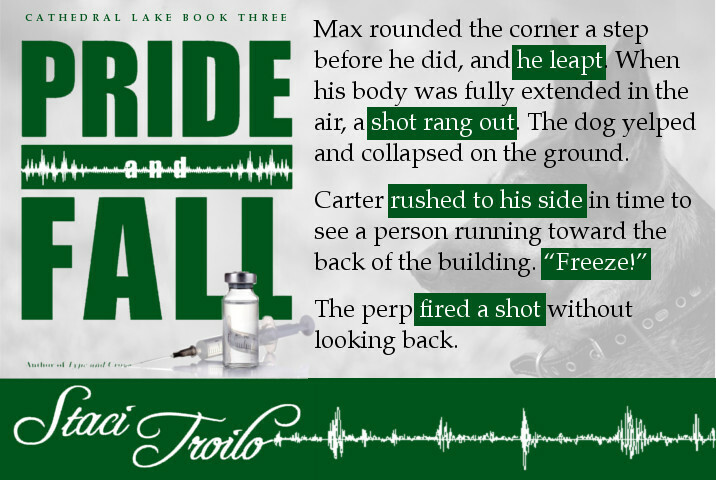 Pick up a copy of Pride & Fall, by Staci Troilo, because you know you want to find out too. It's available at multiple vendors, and I'll include all the links on the website. Oh, and don't forget to tip your waitress. By that I mean use those sharing links. When your character is a guest here, you'll really appreciate the support. Another great post, Craig… Lisa has done it again! Glad you like it, and thanks for sharing. It was fun putting it together too. I don’t think police dogs are allowed to be distracted. Guess I assume a dog is still an animal. No matter the training, a living thing with free will can still be distracted. Probably a more rigid mental hierarchy though. I think the dog from Up was just an individual good character. Dogs can be extremely focused. Otto with a bug can keep him focused for an hour. Scooby Doo even focused on food. I think characters like this should have unique personalities. Muttley was sworn to fun, loyal to none. Dyno-mutt was loyal, if a bit goofy. Underdog was loyal and heroic. And Wile E. Coyote was the poster boy for focus. The old school dog cartoons really gave they good personalities. Astro was always my favorite. Not sure if we count Dino. I say count him. He fits the mold. I kind of want to go watch some Blue Falcon and Dyno-mutt now. I don’t remember watching that show. For some reason I remember Dyno-Mutt showing up in Dexter’s Lab. I must have missed that one. I think Blue Falcon is older than Dexter. Yeah. Dexter thought Dyno-Mutt was old technology when he was asked to repair him. He made a new one for Blue Falcon that went berserk. Probably same studio like when old cartoons show up on Harvey Birdman. What a fun conversation the two of you are having. I hated Scrappy Doo, too. I was, however, a huge Hong Kong Phooey fan. (Old school cartoon dogs are awesome.) Max is definitely not scatterbrained like the Up dog, who was great in the movie but in my mind, not indicative of all dogs. My two Labradors can be very focused. But in all honesty, they’d probably be distracted by squirrels, too. Dogs are as varied as humans from the sound of things. I remember my uncle had a German Shepherd that was very focused, but there was also a mutt that was always playing and running around. Now I’m wondering if dogs can be diagnosed with ADHD. They are so varied. Jack Russell terriers are wound up and bouncing off the walls. Labs can be kind of stoic, and they tell me bulldogs can be lazy, but I haven’t seen that myself. Thanks for jumping in on our madness. We should all leave early and watch some old cartoons. I’m currently on chapter five of this book and loving every minute of it. Of course, I loved the first two Cathedral Lake books too. I feel like I already know Max from reading the novel, so it’s fun to see him show up here. Lisa’s guest list is so unique, LOL. Anything goes on Lisa’s radio show. I got a kick out of doing this one. Reminds me, I’d better tweet it out again. Thanks, Mae. I’m thrilled you’re enjoying the book. Max was as important to me as Carter and Faith in this book. I’m glad it’s coming through. Craig, it probably goes without saying, but thank you so much for hosting me and Max today. It was a fun interview to work on, and as always, a pleasure working with you. You’re always welcome here. How do we share this under the Story Empire headings? I think it’s completely appropriate. Hmm, that’s a great point. Perhaps we should create a guest post menu and have links to all the cross-promoting we do. We should probably always reblog these, too. I’ll put this on my to-do list for 2017, I guess. I can’t figure out how to reblog on SE. It always seems to default to ES for me. I suppose I could fake a reblog, but we wouldn’t want all five of us to do it either. Great interview with Lisa and Max! Good work, Craig and Staci! Thanks. Reminds me, I still have some other work to get to. Thank you. Craig and Lisa are always such gracious hosts; I couldn’t go wrong. What a great idea! Lisa surely has the most interesting guests I’ve ever met. I’m intrigued enough to take a look at what sounds like a great read. I’m a dog lover and have always had them around me. German Shepherds are a marvelous breed, so Max grabbed my attention. Great post! Glad to hear it. That’s why this “show” exists, and I hope you enjoy Staci’s book. Thanks, Soooz. Max ended up being one of my favorite characters that I’ve ever written. He kind of stole the show for me, even though he doesn’t “talk” in the book like he did with Lisa. Fun!! Can’t wait for more interviews in the new year with Lisa!! Me too, but she needs guests. Hear that authors? Send Craig and Lisa some characters, pronto!! Thank you, Traci. It was fun doing it. Fun interview! 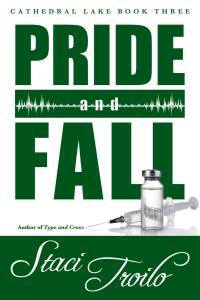 I can’t wait to read Pride and Fall. I really enjoyed the other books in the series. Thank you, Stacy. Glad you’re enjoying the interviews, and Staci send me a great character to interview. Thanks, Stacy. I hope you like it. Thanks for sharing this at SE. Glad you’re enjoying the books, and thanks for the comment.